The Chord / QTX Sound 12 channel/4 return 30metre Stage Snake/Multicore. 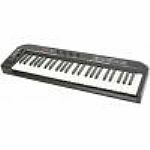 The Chord / QTX Sound 16 channel/4 return 30metre Stage Snake/Multicore. The Chord / QTX Sound 8 channel/4 return 30metre Stage Snake/Multicore. 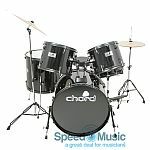 Chord ADK5 Drum Set 5-Piece with stands, seat & cymbals(Colour: Black). NEW Lower price £249 while stock lasts. Chord Drum Set 5-Piece CDK5 with stands, seat & cymbals(Colour: White). NEW Lower price £249 while stock lasts. This pair of Chord drumsticks are a great all-round drumstick made of Hickory. The Chord Beech Wood Cajon (hand drum, drum box percussion). The BLUES TEN HARMONICA by Chord. Chord CJB4CE3 Acoustic Electric Bass Guitar in black gloss finish. Chord CJB4CE3 Acoustic Electric Bass Guitar in natural gloss finish. 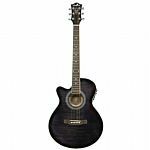 Chord CMJ4CE BK Electro-Acoustic Guitar in Flame Black-burst Gloss. Chord CMJ4CE Electro-Acoustic Guitar in Flame-Sunburst gloss. Chord CU21 Ukeleles (various colours available). NB. FREE spare set of ukelele strings included, (worth £4.99) while stocks last. A deluxe rectangular carry case for electric guitars. The Chord French Wood Cajon (hand drum, drum box percussion). Chord IEM16 UHF Wireless IN-EAR MONITORING SYSTEM. NEW lower price £195! Chord N5Z-LH Native Series Electric-Acoustic Guitar Zebrano-finish - Left Hand model. Chord Mini Rock Station 8 watt Guitar Combo. Portable guitar amplifier with 7 digitally modelled amplifiers and 6 types of multi-effects. Chord N4PA-LH Left-handed Native Piebald Ash Electro-Acoustic Guitar. Chord N5SM Native Series Bubinga Electro-Acoustic Guitar. Chord N5FM Native Series Flame Maple Electro-Acoustic Guitar. Chord Native Series Piebald Ash Electro-Acoustic Guitar. Chord N5S Native Series Sapele Electro-Acoustic Guitar. Chord N5SM Native Series Spalted Maple Electro-Acoustic Guitar. Chord N5Z Native Series Zebrano Electro-Acoustic Guitar. Chord Native Concert Ukulele 24 inch Spalted Maple. Chord Native Soprano Ukulele 21 inch Spalted Maple. NU4 Quad UHF Wireless Microphone System: 4 Handheld Microphones. The Chord Oak Wood Cajon (hand drum, drum box percussion). NEW: The Chord Salamander Orchestra Model Electro-Acoustic Guitar with Solid Cedar Top. 4-String Electric Concert Ukulele, Cutaway, Mahogany Body, 2-Band Pre-amp, Sapele finish. 4-String Electric Soprano Ukulele, Cutaway, Mahogany Body, 2-Band Pre-amp, Sapele finish. The Chord TU-50 Pedal Tuner. The new VGW1 VHF GUITAR WIRELESS SYSTEM from Chord. A VHF wireless system with a bodypack transmitter and a free-standing receiver.